The Edinburgh Festival Fringe is one of the most creative points in time and place for the entire year, said to be No. 3 in the world for ticket sales behind only the Olympics and the FIFA World Cup. The population of Edinburgh doubles for the month of August every year! Many artists use this opportunity to develop new work, and I had the honor and pleasure to do just that this year. London producer Rie Crowley has been wanting to put me together with her old friend Katsumi Sakakura for two years now—and we finally got it together. The show we created is a mixture of martial arts (karate), bushido (the way of the samurai), traditional Rakugo comic storytelling and Sakakura’s original high-tech dance form called Projection Dance. The name of the show? "Guilty Noodle," as you would expect. We developed the show over eight performances at a great festival venue called Sweet Venues, and I'm happy to announce that we're moving straight to London’s West End with one performance only at the Leicester Square Theatre on Friday, September 2, 2016. Said Sakakura about his hopes for the show: “I don’t know if there is a show that has more aspects of Japanese culture rolled into one cohesive hour of entertainment. 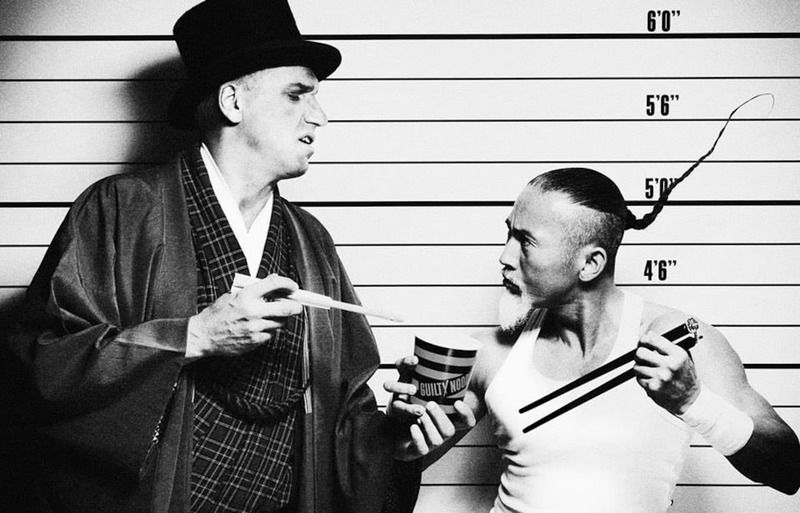 You have the samurai spirit and karate, you have traditional comic storytelling that goes back 400 years, and you also have modern high-tech Japan in one fast-paced, entertaining show. “I think particularly Japanese martial arts are misconstrued in the West—because of movies, TV and other entertainment—to be for attacking people, hurting people, killing people. This is not the case. The samurai is also misconstrued to be a warrior, adept at killing the foe with his sword. But samurai culture was also so much more than that. 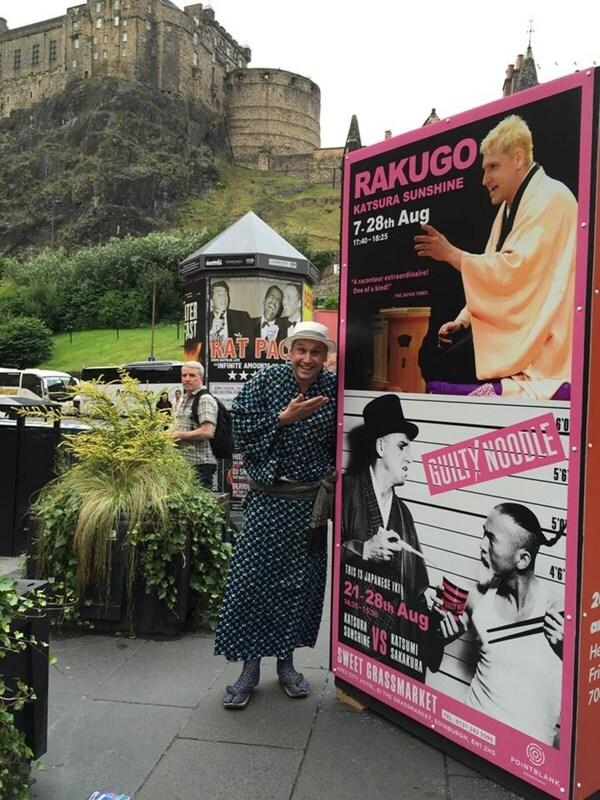 As a Rakugo storyteller, I'm usually working alone or with other Rakugo-ka, as we're called. So it has been a great pleasure to work with an artist who's doing something completely different and create a show together. What does all this have to do with noodles? You can find out at the Leicester Square Theatre! Check out the details and book tickets below! Born in Toronto, Canada, Katsura Sunshine is the first foreign-born professional 'rakugo' storyteller since the early 20th century. He appears regularly on television in Japan, and has performed in Singapore, the U.S. and Canada, the U.K., Australia, Paris, Sri Lanka and Hong Kong, as well as throughout Japan. He currently divides his time between London and Tokyo.